Customers: Please note that these rounds are offered in varied condition, and most likely will be damaged with scratches, dings and heavy wear. The round you will receive, however, is guaranteed to contain 3/4 troy ounce of .999 fine silver. 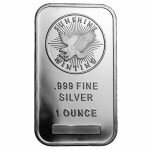 The 3/4 oz Silver Round is available in varied condition, and contain 99.9% pure silver. Rounds are chosen by our staff after you place the order, and are likely to show signs of wear including scratches, marks, abrasions and dings. 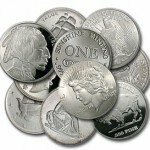 Silver rounds are popular precious metal products among numismatists that don’t place a high value on coin design. While many of the world’s greatest mints focus on stunning designs and high quality production, silver rounds offer the innate value of silver without the added element of designs to drive up demand for the product. The terms silver coin and silver round are sometimes used interchangeably, but they do mean entirely different things. In the United States, the term “silver coin” is reserved for commemorative and circulation currency with a face value because those products are considered legal tender, even if they are rarely (if ever) used for such purposes. A silver round has no face value and is therefore not considered legal tender. Silver rounds are struck by a variety of mints around the globe, many of which are private entities with no affiliation to national governments. Some of the most popular silver rounds available today mimic the most popular coin designs used throughout history. 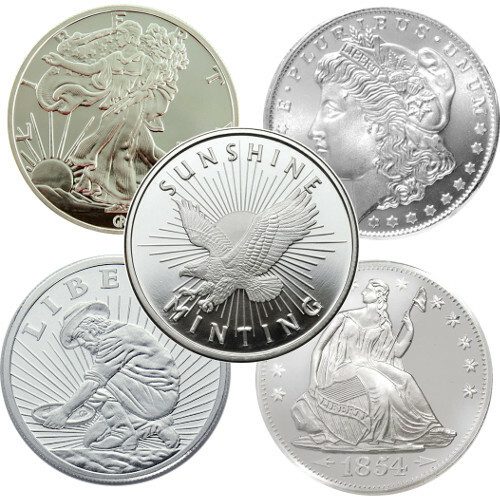 Examples of common silver rounds produced today include a Morgan Silver Round, depicting the famous Lady Liberty design from the iconic Morgan Silver Dollar. Images of Lady Liberty created by Augustus Saint-Gaudens and Adolph A. Weinman, as featured on the American Silver and American Gold Eagle programs, have also been replicated on Silver Rounds. In addition to a lack of face value and status as legal tender, silver rounds use different engravings or lack engravings altogether as a means of separating them from official silver bullion products. 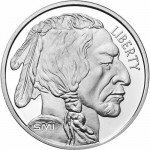 When you purchase a 3/4 oz Silver Round from Silver.com today, your order will be fulfilled using a silver round of our choosing. The 3/4 oz Silver Rounds you receive will come in various conditions from numerous mints, and will be determined based upon availability. If you would like to learn more about the 3/4 oz Silver Rounds (Varied, Any Mint) or some across any questions while browsing our website, please call us at 1-888-989-7223. Our staff is also standing by on live chat and email to assist you.